An old proverb has it that great men have great mothers. One reaches that conclusion when studying the lives of the great men who founded and led this Church during the last century. Women bequeath to their sons their emotional life values according to their own emotional measure and its qualities. Fathers give virility and balance, thus rounding out life’s full measure. 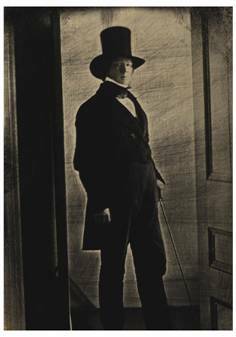 Brigham Young had for his mother a woman who was descended from a long, illustrious line of refined, inherently intelligent American and English ancestry. Abigail Howe Young came from the well-known Puritan family of Howes. Her kinsmen were students in Harvard University in the infancy of that great school, and their historian says that all of the Howes were dear lovers of books. They were freemen, proprietors in the townships where they settled, selectmen, representatives, Indian commissioners, and seemed to have brought from the old country, in fair measure, the common sense, industry and thrifty so much needed by the emigrants. The men of the race were almost universally tall, well proportioned and of sound constitution. The women were attractive, refined, and more or less artistically gifted. The Howe family, from whence they sprang, in Warwickshire, were many of them titled people and of excellent repute. Brigham and his brothers John and Lorenzo inherited the physical traits of the Howes, while the eldest son, Joseph, very much resembled the Youngs, the father John Young being a small, wiry man. (1) John Howe, son of John Howe, was for a long time a resident of Watertown, Mass., and in 1638 or 9, was one of the first settlers in Sudbury, Mass., where he was admitted freeman in 1640. His death is given as July 10, 1678, and again in 1687, figures transposed, perhaps. He removed to Marlborough in 1657, and it is said he was the first white settler in that town. His wife’s Christian name was Mary, who survived him twenty years. He had twelve children. (2) John Howe, son of John (1), was born in Sudbury, in 1640. His wife’s Christian name was Elizabeth, whom he married January 22nd, 1662. He resided in Marlborough, where the births of his children are recorded. He was killed by the Indians in Sudbury, April 20th, 1676, and his house and buildings were burned by the enemy. He had four children. (3) Josiah Howe, son of John (2), was born in Sudbury, in 1650. He married, March 18, 1672, Mary Haynes of Sudbury. He settled in Marlborough, where he died in 1711. Josiah was a soldier in King [p.3] Philip’s war. Mary married second, John Prescott. He had five children. (4) Josiah Howe, son of Josiah (3) was born in Marlborough, in 1678; married June 14th, 1700, Sarah Bigelow, and settled in that town. He married second, Nov. 22, 1713, Mary Marble. He had by first wife three children, and by second wife, four children. (5) Phineas Howe, son of Josiah (4), by his first wife, was born in Marlborough, December 4, 1707; married March 22, 1732, Abigail Bennett, and settled in Shrewbury, Mass. His farm was in what is now Boylston. His wife died August 22, 1784. He died in Boylston, January 4, 1801. His children were Bezaleel, Silas, Abigail, Elizabeth, and Phineas, who married Abigail Goddard, and their daughter Nabby, or Abigail, married John Young, and they were the parents of Brigham Young. Born May 3, 1766; died January 11, 1815. 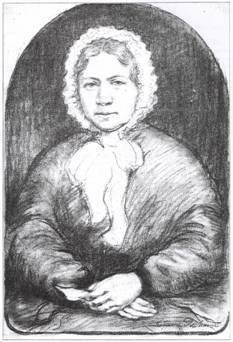 An artist’s conception of the mother of President Brigham Young whose picture was never taken in life. From a composite of photographs of Brigham Young, and the descriptions of Abigail gathered by her descendants. Sketched by Lee Green Richards, Abigail’s great, great grandson. Abigail Howe was but nineteen years of age when she married a Revolutionary soldier named John Young. There were five Howe sisters, and all were said by pioneers who knew them to be pretty girls, vivacious, musical and very popular in their pioneer communities. Theodosia Kimball Young, wife of Brigham Young’s oldest brother, John, and Maria Haven Burton, wife of Bishop Robert T. Burton, who lived in the same village and knew them well, bore testimony to the gentle vivacious, and attractive characters of those Howe girls. They were all singers and many social affairs were brightened by the duets and simple folk songs essayed by the Howe sisters. All were very devout and deeply concerned with Puritan religious life. Abigail herself, though not as tall as some of her sisters, was a little above medium height. She had blue eyes, with yellowish brown hair, folded in natural waves and ringlets across her shapely brow. She was exceedingly methodical and orderly in her temperament. Neatness, as the old term was used, belonged to her as of inherited right. Not robust in her constitution, she burned up her fires of youth in impetuous toil while constantly on the move with her pioneering husband. She was the mother of eleven children. She died 11th of January, 1815. She was brought up in Shrewsbury, which is not far from Hopkinton. Those little New England towns fairly joined each other through their outstretched farms. Sleighing parties, quilting bees, picnics and religious revivals drew the young people together from contiguous settlements. Abigail, or Nabby, as she was nicknamed, was skilled in housewifely arts, knitting, hemstitching, a little embroidering, and a great deal of spinning and weaving, baking, scrubbing and household adjustment occupying her busy hours. She had unquestionably good schooling, such as was possible for prosperous farmers in those colonial days, and she helped her children over their primary pitfalls. She was intensely humorous in her tendencies and that sense of humor formed a balance which carried her over the frequent pilgrimages of her husband to settle up new countries, leaving her with difficult burdens of childbearing under such circumstances, child-rearing and home-making. The family lived sixteen years in Hopkinton, Mass. Here the most of the children were born. Moving in January, 1801, in the violently cold season of New England weather, she accompanied her husband, John Young, into the remote hills of Vermont, settling in the little village of Whitingham, Windham County, living there long enough for Brigham Young to be born, June 1st, 1801, in a log cabin at the edge of the village. Then the family removed to Sherburn, Shenango County, New York, but did not remain there very long. In 1807 they removed to Smyrna, Shenango County, New York, where her younger son, Lorenzo was born. Moving again to Genoa County, New York, the mother died there the 11th of June, 1815. The mother’s health was poor for a long time, and it [p.5] was a family tradition that Fanny, the elder sister, “raised” Brigham. It is a remarkable thing that all but one of Abigail Howe’s children, six daughters and five sons grew up, married and all joined the Church of Jesus Christ of Latter-day Saints, with their families, all remained faithful to the end. No wonder Abigail’s famous son Brigham was a pioneer. His parents had brought him into the world and nurtured him in flight from point to point, as their restless feet sought new firesides to fill, new fields to plant and a new wilderness to subdue. They were of the pioneer stock and faced the eastern sun of desire and conquest until western shadows brought wider horizons before their vision. Abigail Howe Young was a born reformer, so we are told. She was an invalid the last few years of her life, troubled with the frequent New England complaint of consumption, but she kept an active finger on the pulse of the neighborhood. Her sympathies were so broad, her vision was so clear, her grasp of human values so perfect that friends would come for her when their children married and take her in wagon or sleigh to spend a few days in counsel and assistance to young couples who were starting out in life. She was greatly beloved by her associates. Her children are her noblest monument. The mother of Abigail Howe Young was Susanna Goddard Howe. She was born 15th of September, 1742, in Farmingham, Mass., and married in 1761 Phineas Howe, and was living in Hopkinton, the oldest woman there in 1834. It was a sister of Abigail’s, Susanna Howe, who married Phineas Brigham from whom Brigham Young derived his unusual given name. Said to be the earliest picture of the President. From a daguerreotype probably taken at Nauvoo, Illinois in 1844 or 1845. —From LDS.org. I now set down in the presence of God this day to inform you of my health; that I enjoy comfortable health at present, through the goodness of God. Dear child, I rejoice that I had the pleasure of reading one more of your kind letters, it seems next to conversing with you. We don’t know as we ever shall meet in this world again, but I know if we do not we shall be in preparation to meet in a far better world where trouble and trial will end. I wish to be remembered to all your dear children, and I rejoice to hear that your children have chosen the good part, and are following the commands of Jesus. Dear child, I would be much gratified if it could be the Lord’s will that we could converse and spend a few hours together, but I shall ever be happy to receive letters from you at every opportunity you can make it convenient. I spent a few hours with my sister Howe, yesterday, and she is feeble, but people are very kind and give her a good many presents. She seems to be as reconciled as anybody could except in her situation. She seems to put her trust in Him that is able to take care of his own. I had the pleasure of visiting my son Haven last spring. Mr. Haven has got to be a deacon. Mr. and Miss Clark have made a profession of religion. Mr. Haven’s two sons have shown evidence of an interest in the Redeemer’s kingdom. Nancy has married a very likely man, and she appears to be thoughtful. It appears that the Lord has done great things for them, and blessed be His name. In the town of Colistown there appears to be a very powerful revival, the most stout-hearted rebles have been brought to bow to the feet of Jesus. Three of Mrs. Yanson’s family have joined the Church in Colistown. My son Phineas is well and is now living in Worcester and is very steady to his work. My son Nehemiah and family are well and wish to be remembered to you all. Deacon Morse and family are well and desire to be remembered to your daughter Nancy, and thank her kindly for her kind letter. I wish to be remembered in particular to Mr. Richards. My dear child I hope you will remember me in your prayers. In the town of Hopkinton there has not been any particular attention to religion. My son Samuel is living in the town of Northbury and I heard but a few weeks ago that the family were all well. My son Parker and family were all well. I don’t know as the children, any of them, have embraced religion yet, but I hope you will pray for them. We feel that we need the prayers of all Christian friends. So I must subscribe myself writing to my dear child Rhoda Richards.